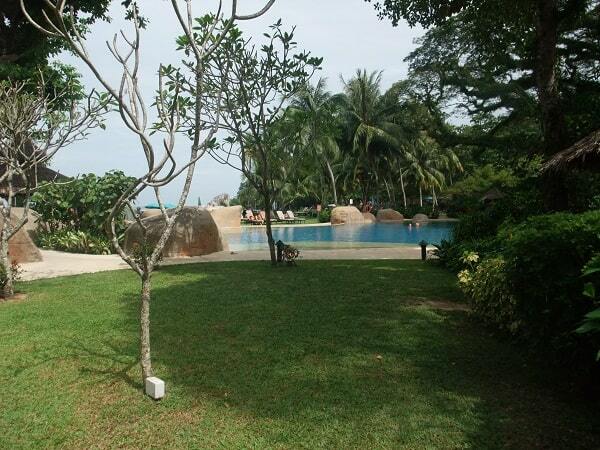 Batu Ferringhi has several large resort, like Rasa Sayang, Golden Sands, Park Royal, Lone Pine, Hard Rock Hotel, Bayview etc. It looks like a new village, but it's very old. It used to be a kampong with a little fishing village. If you want to see a part of this old village you have to turn right when you have passed the Park Royal. Here you'll find the backpackers guesthouses of Ah Beng, Baba's, and the best place, Ali's, which has a relaxing open-air cafe and garden, and better rooms than the other ones. The guesthouses are facing the sea. But at the moment they are building new apartments and some of the guesthouses are disappeared. 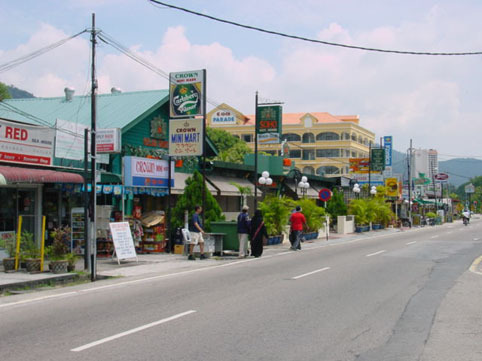 The main road runs more or less straight along the coast for 3km, on which all the hotels, tourist shop, internet cafe's, motorcycle rental offices and restaurants (House of Kampong, Deep Sea or Jewel of the North e.o. ), are lined up side by side. In the centre you'll find the Telekom office, post office, police station and clinic. You can get to Batu Ferringhi by taxi, car or bus. It takes a thirty-minute bus ride west of Georgetown on Rapid bus #102 or Rapid bus air-con #101. A taxi ride will cost you RM80.- You'll have to buy a coupon for the taxi when leave the arrival hall after collecting your luggage. The beach itself is quite good, thought not up there with Malaysia's best and the water is not of the tropically clear variety you might expect. The beach is kept clean, even on weekends when hordes of day-trippers visit. Bathing areas are often cordoned off by floating buoys to protect swimmers from speeding jet-skis, banana boat rides and parasailing. Jellyfish, particularly at rainy times, can be a problem. During the weekend, you will see local people coming at the beach to swim, picnic or fishing. Sometimes you see dolphins swimming from the one side of to island to the other side. Batu Ferringhi can be crowded at night time. Much of the greenery has been replaced by concrete, but there are also the advantages (plenty of restaurants, watering holes and recreation facilities). It has quite a lively resort feel, and there is a good night markets on the main road selling trinkets. The big hotels offer good deals at times and cheaper accommodation is available if you want a few days by the beach. Batu Ferringhi has a few small supermarkets. Small shops are selling souvenirs and beach necessities, in addition to several money changers and pushy Indian tailors. At the CIMB bank are some ATM's to get your money. At night there's the pasar malam along the road. The stalls selling a variety of goods set up along the road at night. If you're looking for football jerseys, T-shirts, hand bags, souvenirs, electronic items, watches (fake), DVDs (copied), CDs (copied) and more? Then the Pasar Malam along the main road is the place for you. Take a walk past the stalls and soak in the lively ambience. The rate of the hotels at the beach in Batu Ferringhi are expensive, but when you cross the street there are also cheap hotels and guesthouses. 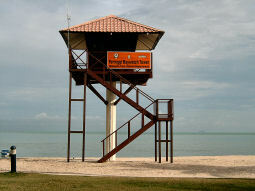 There are some hawker centres in Batu Ferringhi, like "Long Beach" and "I love U". In these Hawker centres you can also buy beside the local food also western food like Italian pasta's or steaks. 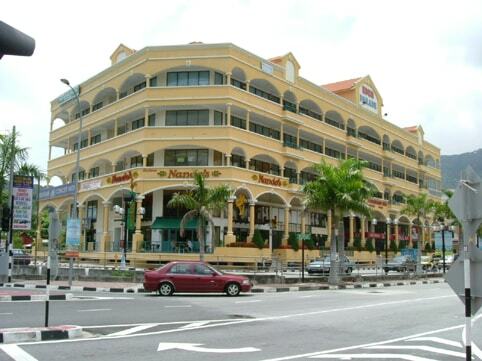 The cheap hotels are in Tanjong Bungah: Tanjong Bungah (Flamingo on the Beach, Copthorne Orchid, Paradise Sandy Bay, Four Points (by Sheraton). These hotels have three stars. Sometimes they have great offers (RM 110.- per room/ with breakfast), but for night life you'll have to go to Batu Ferringhi or George Town. The Rasa Sayang is the most famous resort in Batu Ferringhi. A Par 3 pitch and putt golf course is available at Shangri-La�s Rasa Sayang Resort and Spa. The 9-hole layout is extremely well-crafted and beautifully landscaped. With holes ranging from 25 metres to 75 metres, golfers can play with just a pitching wedge and a putter. There is also a practice green and a small reception area to house putters, wedges, balls, range bags and tees. Together with the Golden Sands they have every day a social activity program. The Bayview Beach Hotel is the last one in Batu Ferringhi. If you're going out at night, you'll have to walk a while (quarter of an hour) before you're in the centre of the village: the pasar malam. Perhaps that's the reason, why this hotel has great offers! Close to the Bayview is the Hard Rock Hotel. A very nice hotel with a Hard Rock Caf� and a Hard Rock Shop. The Shangri-La�s Golden Sands is a family hotel. It has a social activity program and several swimming pools. They have a wonderful restaurant "Sigi's by the sea", but if you don't like a hotel restaurant, there are two hawker centre close to the Hotel: "Long Beach" and "I love U". Both hawker centres are good. Beside the hotel is a narrow street, where you can lunch, buy some souvenirs or let yourself a suit fit by a tailor. At the beach you can have a superb massage by the famous Mr. Foo or his son. Special page about this (click here or in the menu).